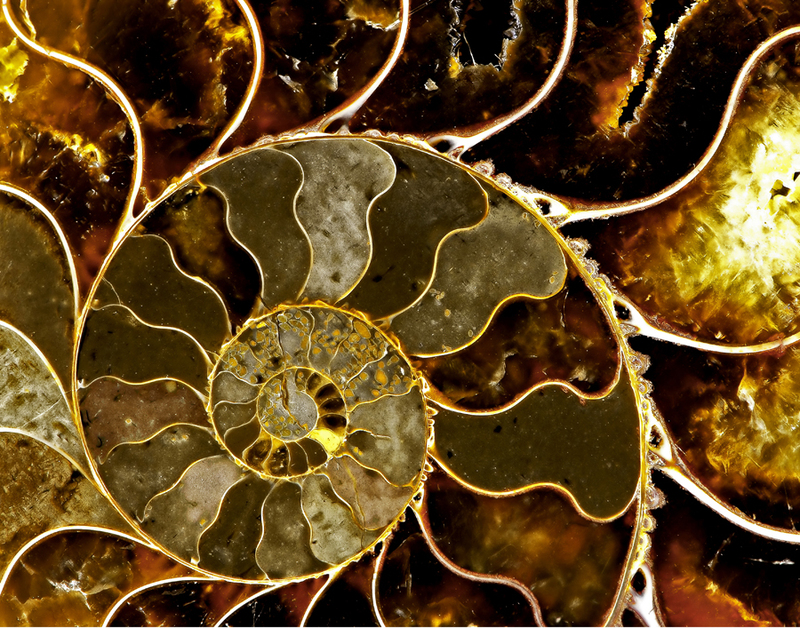 An exquisite ammonite from the Colorado Rocky Mountains. One of only two large Dorée Nature pieces fashioned from four pieces seamed together. 22″ x 28″.